Exploring the rich inner and outer worlds of children. Middle Childhood is more complex and multifaceted than we once thought. So much changes for children between the ages of 6 and twelve; in order to truly understand how our kids are doing, we need an instrument sensitive enough to capture this complexity. The Five Dimensions of Well-Being can provide that full picture. But as powerful an instrument as the MDI is, the goal of this work ultimately isn’t about measurement — it’s about thriving. We want children to thrive across all five dimensions of their daily experience. We can begin this work by learning more about each of these dimensions and exploring how they are interrelated. What healthy habits do kids engage in? How do they feel about their bodies? What are kids' relationships like with peers and adults? 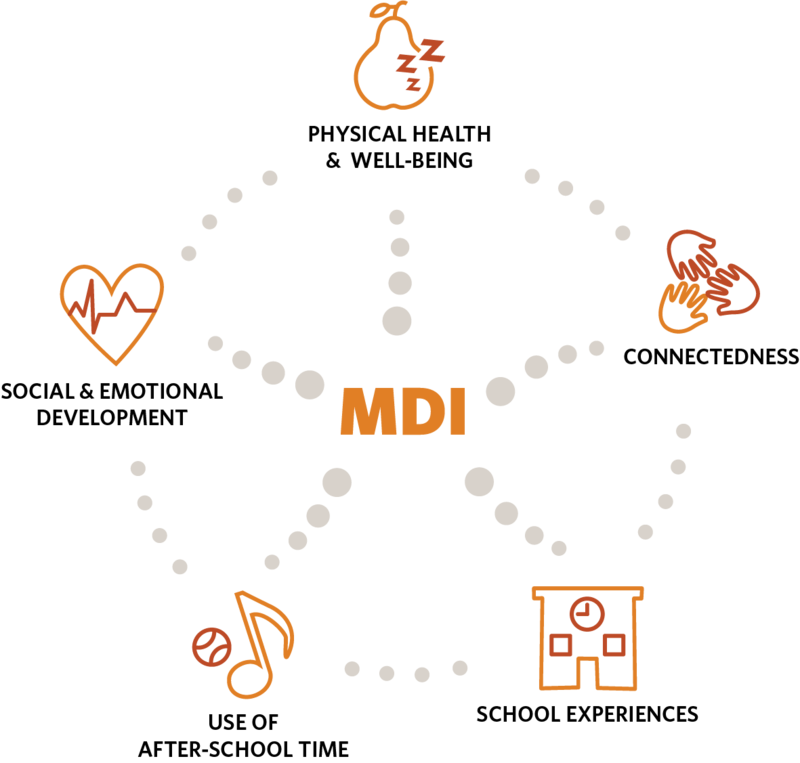 Two-page pdf summaries of key MDI concepts, including research highlights and action ideas – great for sharing.